This small spot of mold resulted in a much larger area on the other side of the drywall. Our technician was able to remove it all by cutting an 8" square and spraying Antimicrobial solution. 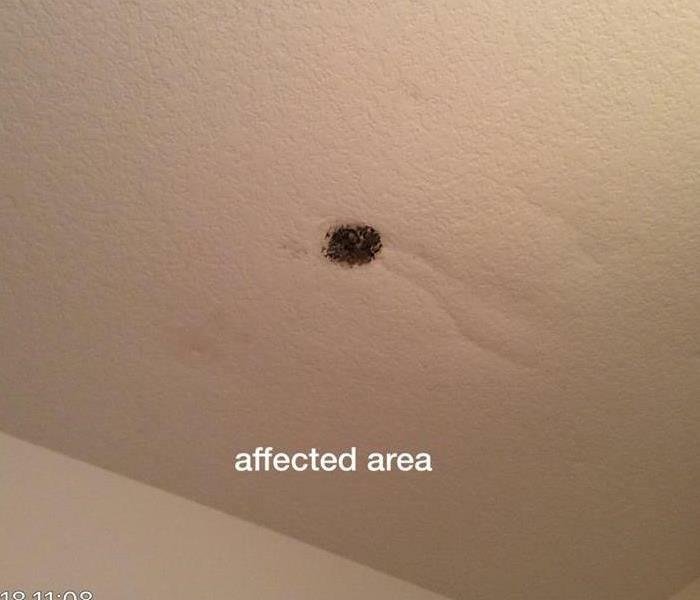 A leaking pipe in the ceiling of this garage resulted in the homeowner finding an area of mold. 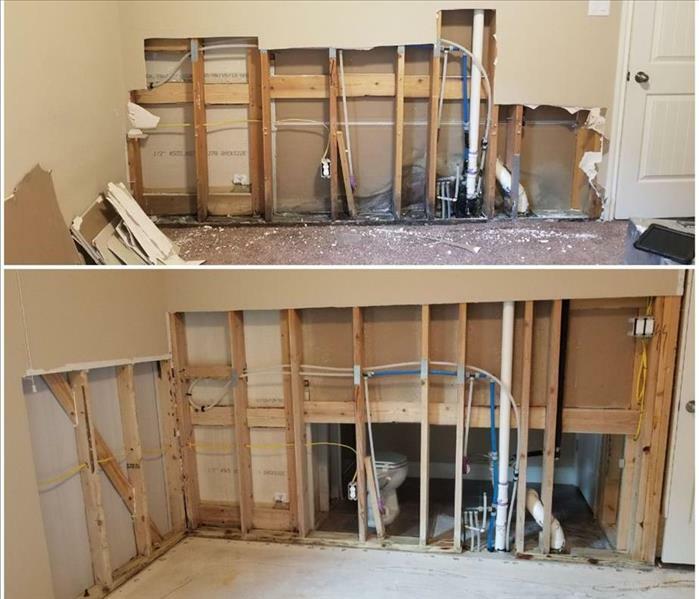 SERVPRO of Georgetown / East Round Rock / Hutto was able to cut the drywall and remove it quickly. 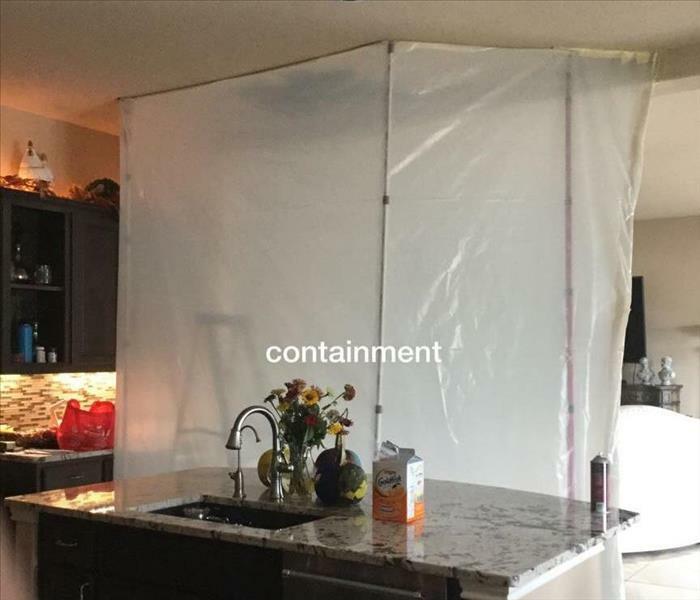 This small containment area was set up so that when we carefully removed a piece of the ceiling, where the mold was, there would be no cross contamination from the spores. If any damage occurs to your property during a storm, Call SERVPRO 512-301-7765 to help clean up the debris, mud, water and make your house a home again. 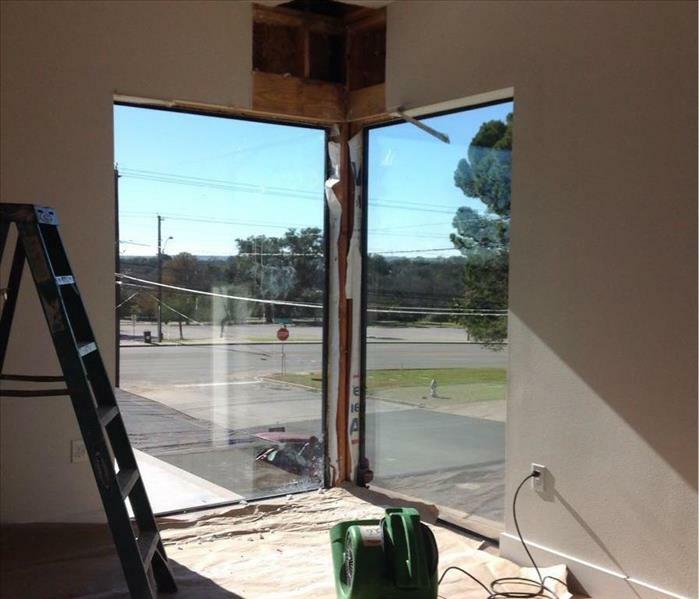 An open bay door was the result of this office building first floor flood. SERVPRO of Georgetown / East Round Rock / Hutto extracted the water and dried it out with in two days. When the Lake LBJ river rose, this house and garage unfortunately took on a lot of water and mud. SERVPRO of Georgetown / East Round Rock / Hutto removed the mud, dried out the home and the garage. 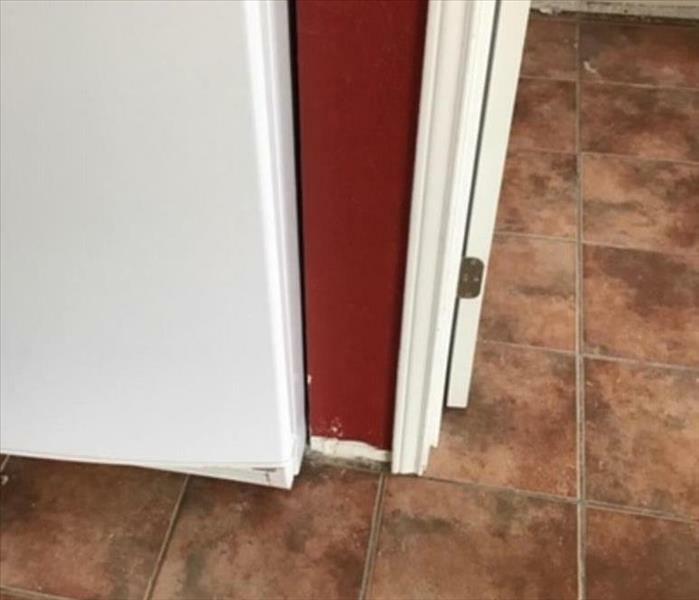 This water leak was caused by a door not closing properly. 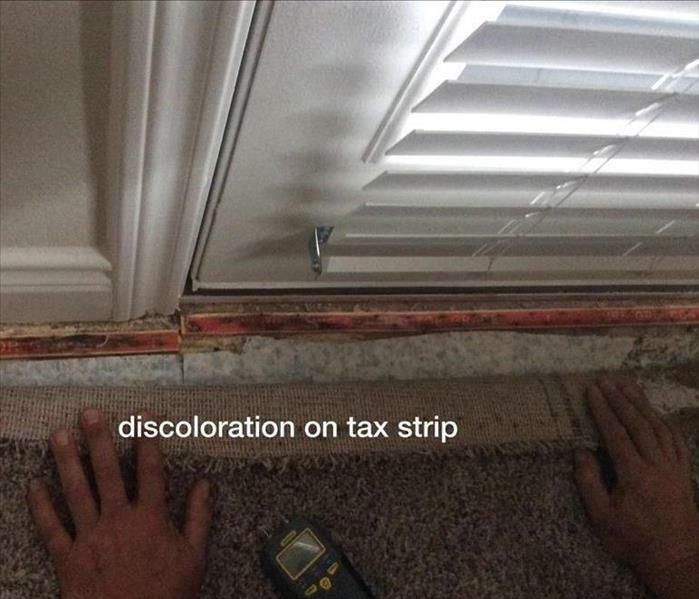 The tack strip shows that it has leaked before and caused mold to grow. This is only a partial of what we look for. This was a quick and easy 1 fan job. There was a small water leak in the wall that caused discoloration on the sheet rock. We removed it, dried it and fixed it. 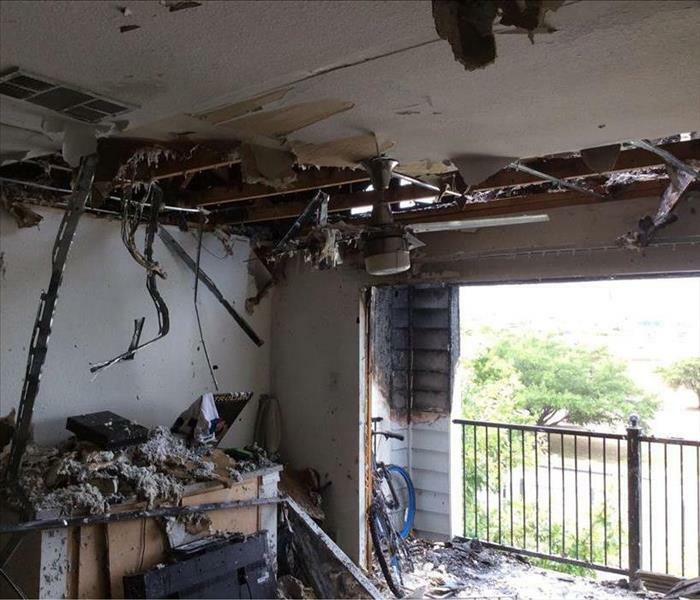 The aftermath of this apartment fire left a lot of debris for us to clean up. The tenant was extremely happy with the work we did to make it a home again. The home owner couldn't believe how quickly we were able to come in and clean up this garage after the fire. We removed all the debris and took the walls down to the frame so that the new sheet rock could be hung. This unfinished commercial building had a water leak over the weekend and saturated everything on the floor. After extracting the water from the floor, the fans were able to dry it quickly. 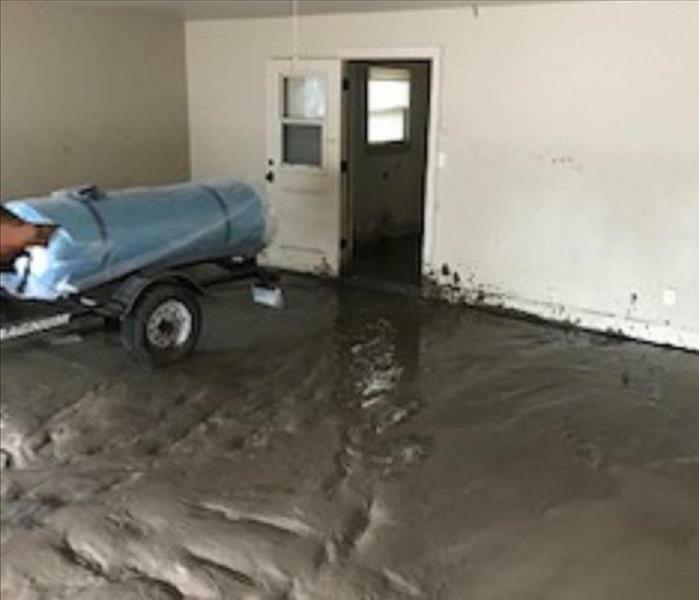 This unfinished apartment complex had a pipe break and caused a major water flood. It affected 2 floors of the building and flooded 16 units. We set up at least 6 fans and a dehumidifier in each apartment. 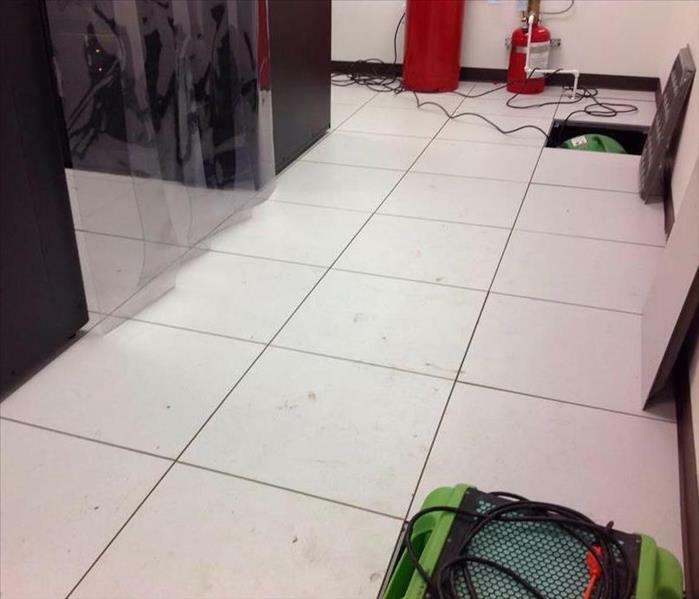 A main water pipe broke at this commercial office in Round Rock, Texas and flooded the space that houses all of the communication cables. 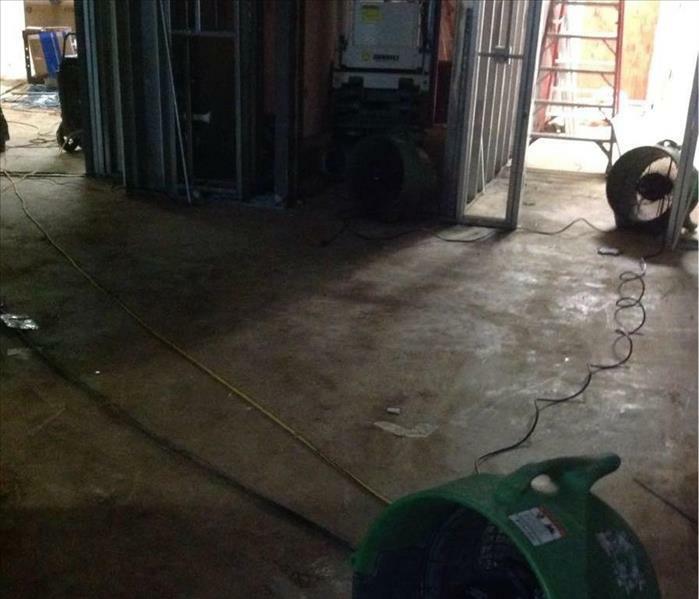 We were able to dry the space out quickly by placing fans and dehumidifiers between the floors. The new owners of this restaurant needed a complete cleaning makeover. Our highly skilled crew cleaned the floors, walls, ceilings, all cook tops and the walk in freezer. Job well done! 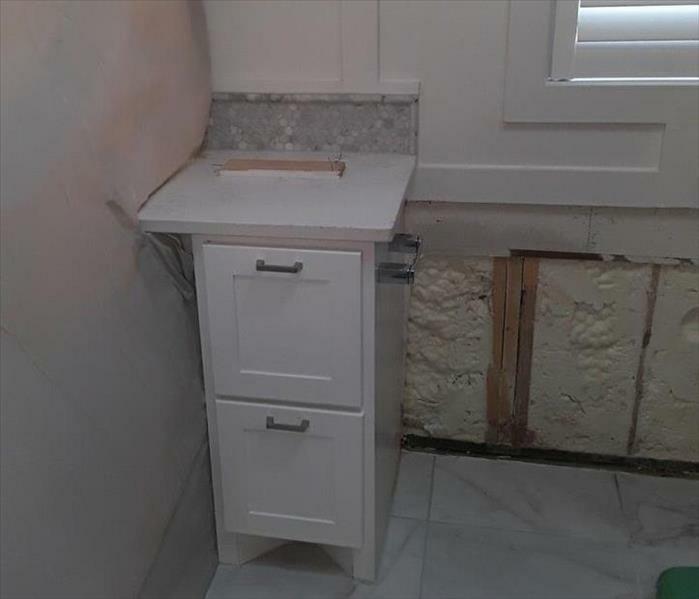 To clean up the water damage in this bathroom, we had to cut 2' of the sheet rock from the floor up to make sure the water would not seep up the wall any further. The mud that washed into this home was 3" deep in some areas. The mud washed through the kitchen, living room and garage. Luckily we were able to scrape it all out, dry out the home and replace the sheet rock that was damaged. The owner of this home forgot to open the fireplace chimney vent. 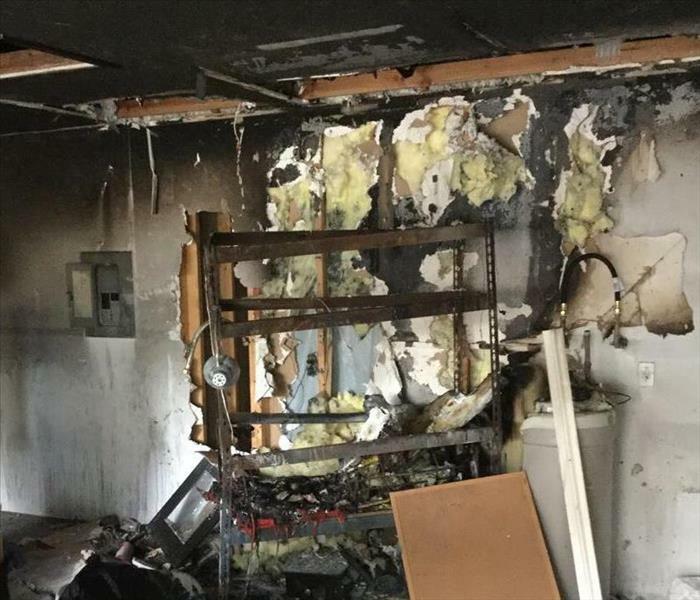 It caused minor soot damage to the entire home. 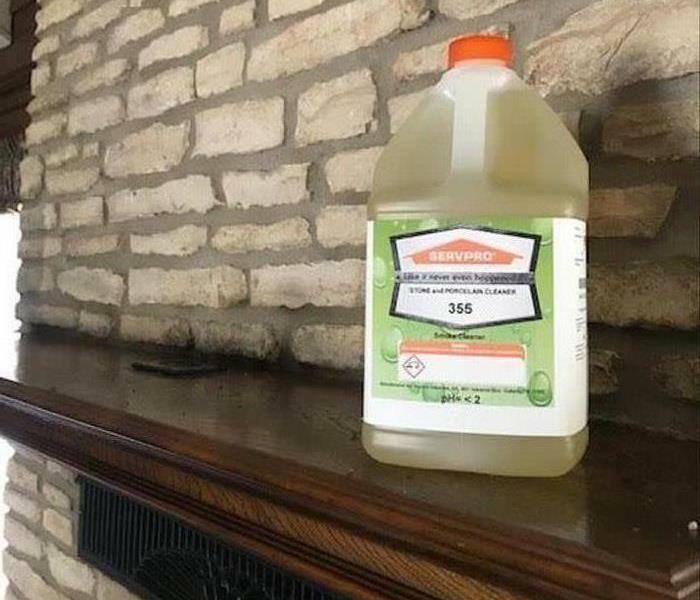 SERVPRO of Georgetown / East Round Rock / Hutto used one of our Green Cleaning Products to wipe everything down. 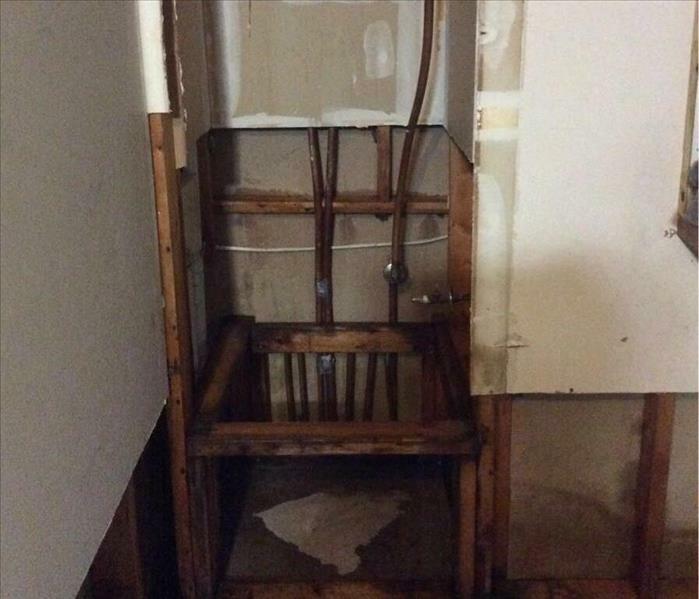 The damage caused by the water heater was moderate in this home. Located in the garage, the water spread from the master bedroom, down the hallway into the second bedroom. 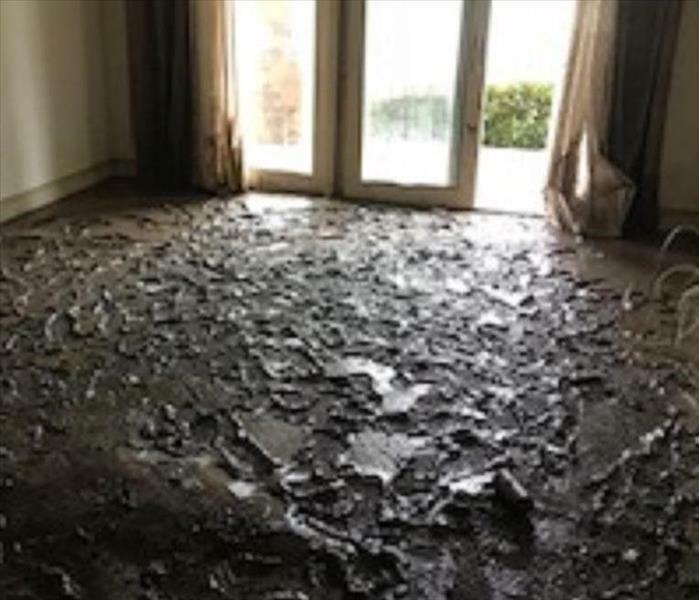 If there is water damage on the flooring of your home, SERVPRO will make sure to remove all that is necessary to allow proper air ventilation to dry out the wall completely. 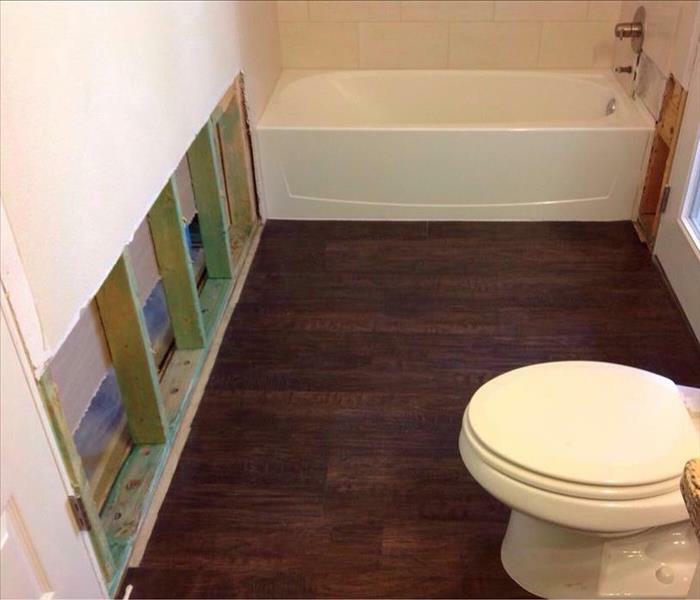 This Georgetown, Texas bathroom had a leaking pipe in the wall. SERVPRO went in and made necessary cuts to make sure the frame and walls of the house got dried out. 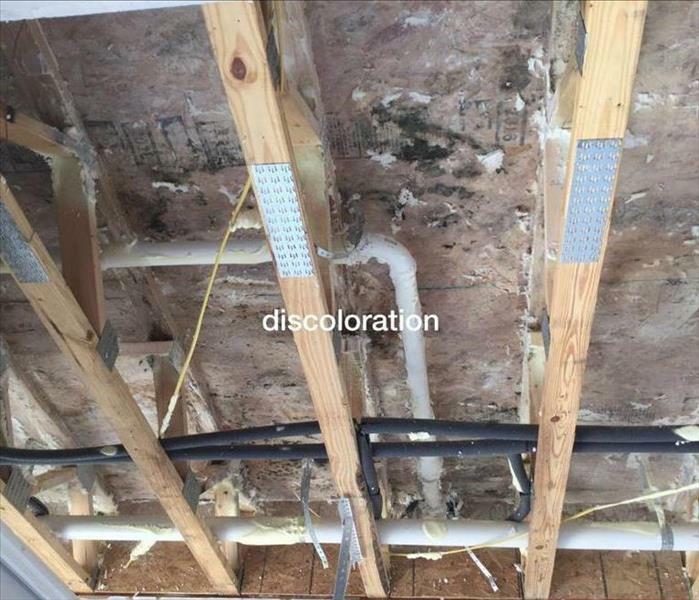 The picture on top shows what happens when a plumber has to cut a wall in a quick timeframe to find the leak. The bottom picture is after SERVPRO came in a cleaned it up. 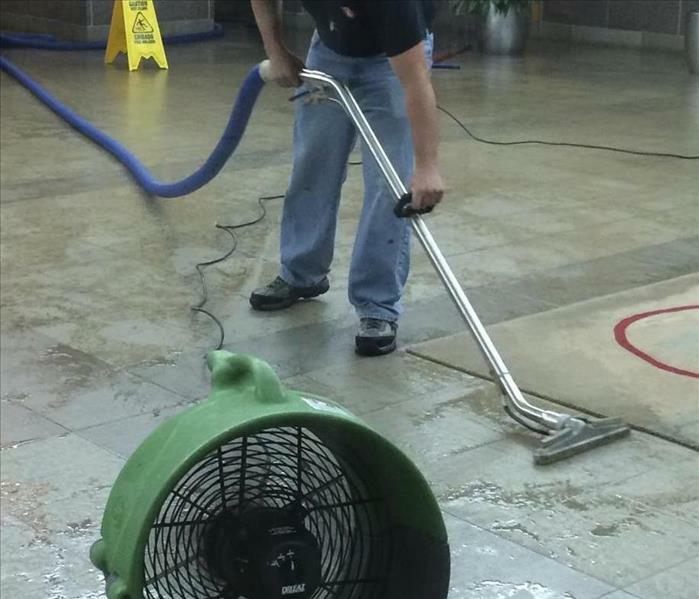 SERVPRO is committed to getting the drying job done quickly. 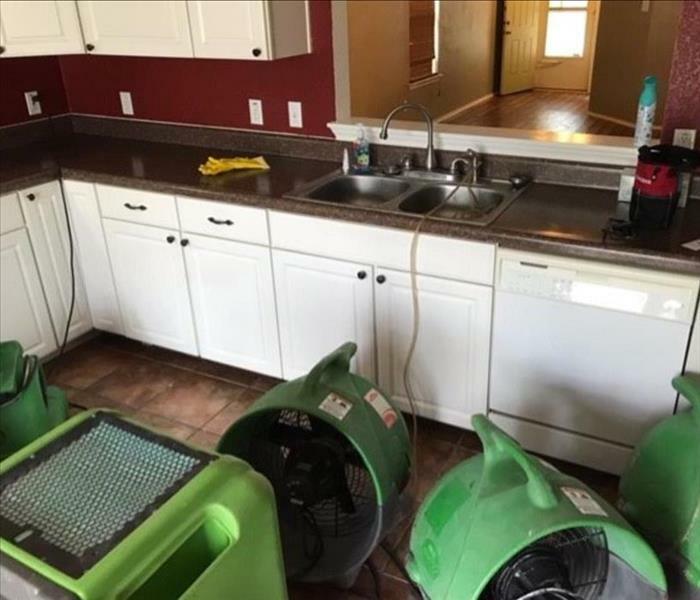 The water damage in this kitchen was dried out with fans and a dehumidifier. 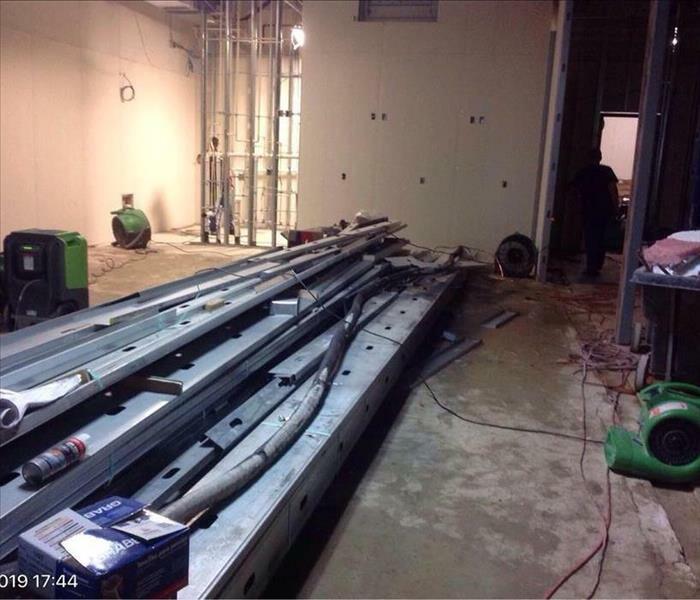 Our technicians know quantity of equipment needed per square foot. Setting up a room or a house for containment is a quick process for our crew at SERVPRO of Georgetown/East Round Rock/Hutto. Give us a call for all your fire, water or mold damage, we can help make it like new! 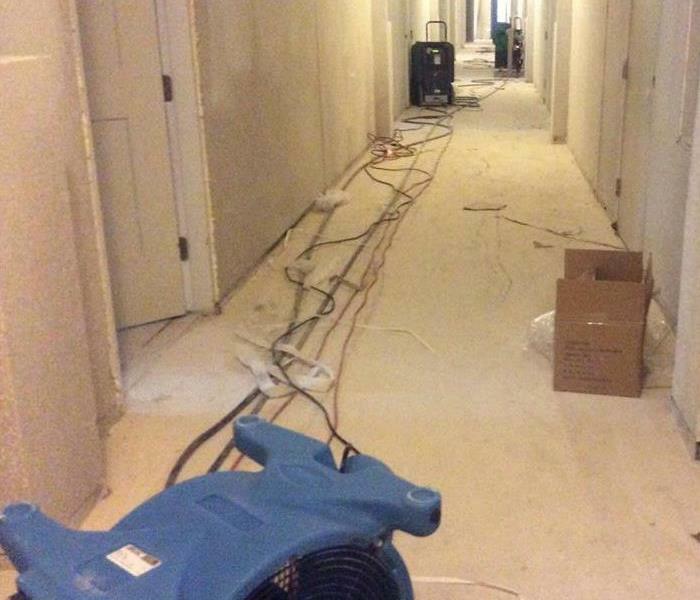 This is a dust suppression containment that SERVPRO of Georgetown/East Round Rock/Hutto set up in a clients homes. 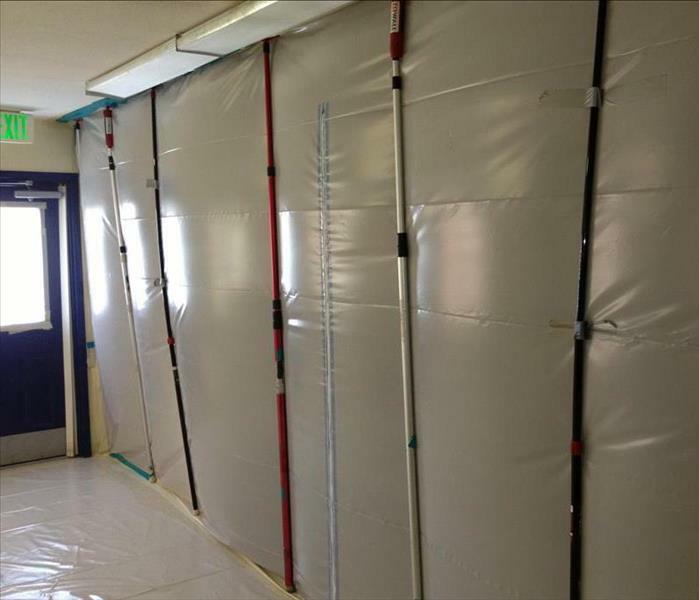 These contaiment walls to prevent dust and debris from working areas to permeate into clean areas of the home. Attention to detail is paramount in order to prevent cross contamination. SERVPRO of Georgetown/East Round Rock/Hutto was called out to the Dell Diamond in Round Rock after experiencing a major plumbing leak under the slab causing major water damage in Round Rock. 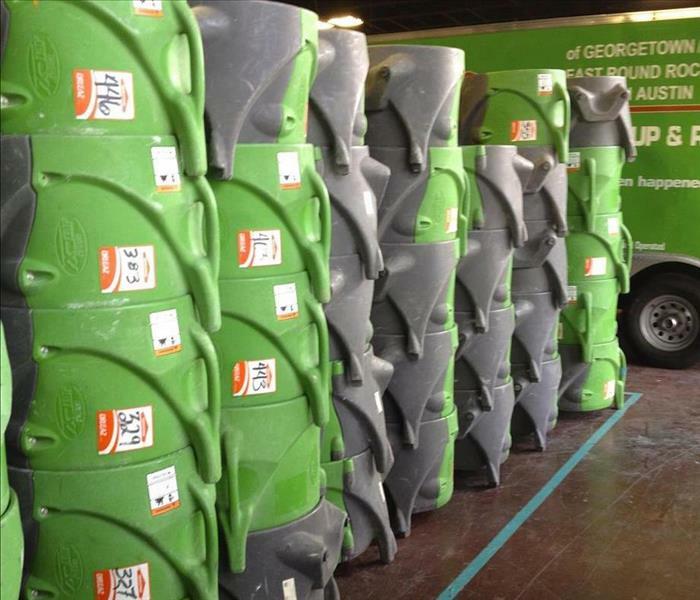 After the devastating wildfires in Bastrop, TX, Extreme Makeover contacted SERVPRO of Georgetown/E. Round Rock/Hutto to help one family rebuild their dream home. Here's our crew on the scene!! !